There Are Plans To Make A 'Miss Saigon' Movie! Listen up, people! 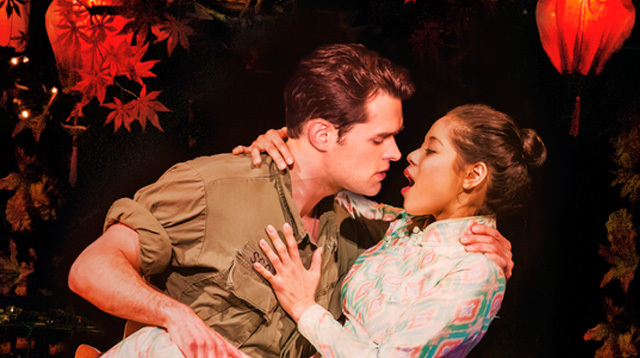 A Miss Saigon movie is in the works! Yep, the news was confirmed by the composer himself, Claude-Michel Schönberg, in his interview with ABS-CBN. “I’m sure we’ll have some more Filipino auditions,” he said. The critically-acclaimed musical launched Lea Salonga into international stardom when she played the lead role of Kim in 1989. The same gig earned her a Best Actress TONY Award, the first one for a Pinay! Rachelle Anne Go starred as Gigi in the Miss Saigon revival in 2014. Take note that Claude-Michel Schönberg is also the composer of Les Misérables. He was super hands-on in the production process of the 2012 movie which starred Anne Hathaway and Hugh Jackman. All you aspiring actors, GET READY. This may just be your ticket to stardom!